911 Restoration Colorado Springs knows that disasters do not wait, so we are here for you and available 24/7/365. The faster the response, the better it is for homeowners and their wallets. To keep cost low, and to ensure peace of mind quickly, we guarantee a response time of within 45 minutes. A fast response means more than affordable cost, it also means that your fresh start begins sooner. The fresh start is the promise that your new day is going to be better than anything else before. It means that in the face of disaster you can sit back and relax while we get the work done for you. Our 35 years of experience makes us a perfect match for any restoration job. When you need professional help, that is honest and transparent, call the experts at 911 Restoration. Heavy rainfalls can flood the city streets and your home, so 911 Restoration has some tips for keeping your property safe in a storm or any other event. Eyes peeled and ears up. During the heavier rain seasons, it helps to be hyper-aware of the conditions of the storms. Keeping your television and radio on is an easy way to get information on the likelihood of flooding. If you hear about a high chance of flooding than you should try to protect your home as much as possible by moving some home items around. Electronics should be unplugged and stored in elevated conditions. Outdoor furniture should be put away. 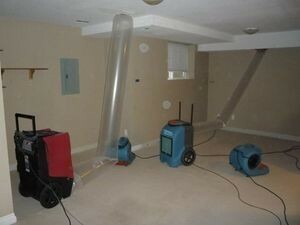 This reduces the chance of property damage, as the flood can shift items and cause them to come crashing into your home. Sand bagging is an effective measure in limiting the amount of water than can get into your home. Those are simple steps for your home, but your top priority should be yourself. Therefore, if you are caught in a flood with no preparation try to make your way to elevated ground. If you are at home, we recommend either going to a second story, an attic, or even the roof. Whatever you do, try not to drive, as it only takes as little as 2 feet of water to sweep your car away. When the disaster recedes you should call us immediately, as we can get there fast to fix your house right up. Water from floods can swamp pockets of your home. Crawl spaces, subfloors, foundations, and spaces between walls are all at risk for harboring water. These spots trap humidity as the water evaporates, and it becomes a breeding ground for mold. Fortunately, our IICRC certified disaster restoration Colorado Springs team is equipped to handle any job. Using infrared cameras makes finding trapped water a breeze. Once we detect where the damaged areas in your home are, we get the water out using our blowers, dryers, and dehumidifiers. Making sure the water is out of your home ensures structural keystones, such as wooden panels and foundations, are not at risk for developing wood rot—a mold that will eat away and weaken wood. Furthermore, floods can cause raw sewage to spew out from your toilet, but do not worry. 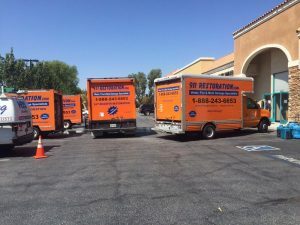 Our disaster restoration team comes equipped with hazmat suits to guarantee that we will fix your problems. 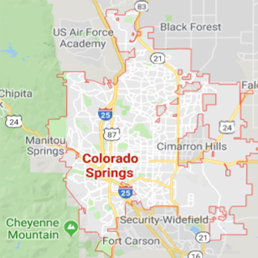 911 Restoration Colorado Springs’ disaster restoration Colorado Springs team is here for you, no matter what. In an emergency, call us for same day service and professional restoration that is leading the industry.